There’s a good chance last Christmas that you or someone close to you received a virtual assistant like an Amazon Echo or Google Home. These virtual assistants were the most popular gift ordered on Amazon.com at the end of 2016. Powered by a continuous connection to the internet, these gadgets interact with the other internet-connected devices in your home – things like your smart thermostat or Wi-Fi lightbulbs – and turn the Internet of Things from a disparate collection of connected objects into a unified smart home. According to a new report by Cisco, the number of internet-connected devices, things like virtual assistants, smartphones, and web-connected TVs, will be more than triple that of the global population by 2021. That’s an expected growth of 10 billion connected devices in the next five years. In order to work, these billions of devices require a strong, reliable network. That’s why internet providers have been working to increase the speed, reliability, and availability of high-speed internet. Over the past four years, top internet speeds have quadrupled and now max out at 2 Gbps. ISPs have also been preparing for the Internet of Things revolution with better, more efficient technologies like DOCSIS 3.1 modems which make gigabit speeds possible without laying any new cable. 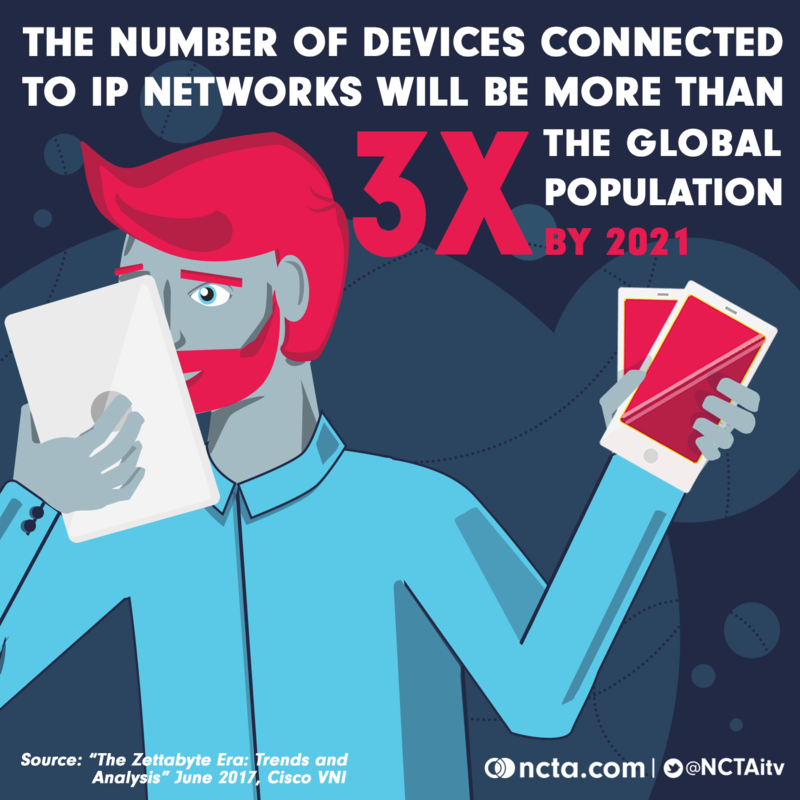 Go to NCTA.com to learn more about the future of wifi, DOCSIS 3.1, and the internet of things.